Synpromics says growing global demand has prompted the developer of gene control and synthetic promoter technology to relocate to expanded facilities in Edinburgh, Scotland. 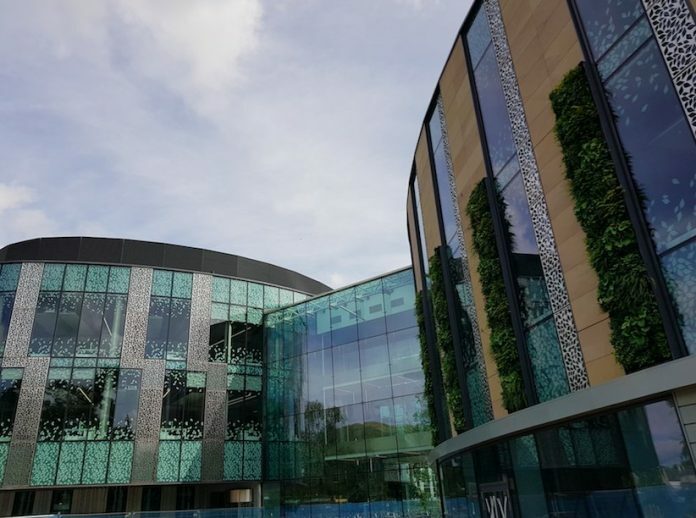 The company has moved into more than 5,000 square feet at the Roslin Innovation Centre, based at the University of Edinburgh’s Easter Bush Campus. Synpromics’ new home base is a few miles south of its former location at Edinburgh BioQuarter’s Nine building. “We are currently 30 people. We expect the team to grow by a further 25% over the coming 12 months,” Michael L. Roberts, Ph.D., Synpromics founder and CSO, told Clinical OMICs. The staff has more than doubled following two successful years for the privately-held company. During 2017, Synpronics has signed gene therapy deals with two undisclosed companies—which it has described as a large, orphan disease pharma, and a biotech specializing in gene editing and developing rare disease gene therapies. Dr. Roberts said Synpromics’ recent success has been accelerated by its PromPT™ suite of bioinformatics tools and molecular biology techniques, which enable it to design, build and test synthetic promoters that regulate gene expression in a highly specific manner. Synpromics says the databases that form part of PromPT allow the company to identify new regulatory sequences from genomes with a high degree of accuracy. “We take a novel engineering biology approach and build completely novel promoters and expression cassettes that are specifically designed to function optimally in the specific application that our partners are interested in,” Dr. Roberts said. Synpromics’ promoters can be designed to only control expression in a particular cell type, or in response to environmental, biological or chemical stimuli. The company assesses the gene expression profile of the target cell and condition by identifying differentially expressed genes using microarray or NGS technology. “We have developed a number of proprietary bioinformatics scripts and algorithms that identify the enhancer elements that control the expression of those genes. We integrate data from a diverse array of sources in order to identify these enhancer regions and feed that data into a customised genome browser that we have developed,” Dr. Roberts explained. That enables Synpromics to integrate data from a wide range of sources, he said, either publicly available or from genomics data generated in-house—such as data on histone modifications, DNA methylation, transcription start site analysis, nucleosome positioning and other genomics datasets that can be used to interpret transcription from the genome. Founded in 2010, Synpromics has established partnerships focused on developing its synthetic promoters with gene therapy developers that include uniQure and AGTC, as well as with biomanufacturing platform companies GE Healthcare and Sartorius Stedim Cellca. On Wednesday, Synpromics announced its latest collaboration involving its gene promoters. The company will provide Solid Biosciences with a set of key muscle-selective promoter candidates for use in the development of gene therapy candidates for the treatment of Duchenne muscular dystrophy (DMD). The promoters have been designed using PromPT®Ò and Synpromics’ bioinformatics expertise, with Solid to evaluate the promoters for optimal product specific gene control. Synpromics has raised around £10 million ($13.5 million) in equity investment and grants since the company was founded, Dr. Roberts said. Synpromics is among companies focusing on gene control. Syros Pharmaceuticals, which develops treatments that control expression of disease-driving genes, on September 11 reported positive Phase II pharmacokinetic and retinoic acid receptor alpha (RARα) target engagement in an ongoing trial of SY-1425 in genomically-defined subsets of patients with acute myeloid leukemia (AML) and myelodysplastic syndrome (MDS). Another drug developer specializing in gene regulation, Fulcrum Therapeutics, on May 10 announced receiving an undisclosed amount of additional Series A financing from GV (formerly Google Ventures) to support continued advancement of Fulcrum’s gene-regulation lead programs in Fragile X syndrome (FXS) and Facioscapulohumeral muscular dystrophy (FSHD). Fulcrum was launched last year by Third Rock Ventures with a $55 million Series A financing intended for development of “a cross-disciplinary product engine” to identify and modulate gene regulatory targets deemed central to disease.